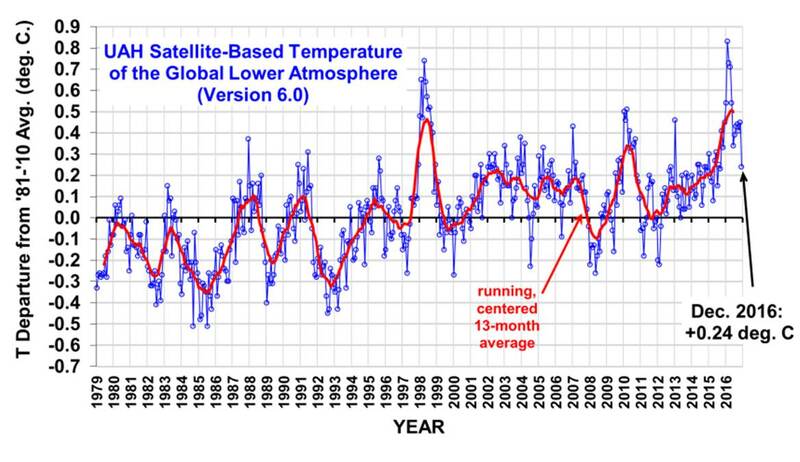 Adds to the impression that there is a lot of noise in the data and confuses the picture as global warming is discussed in yearly averages over decades. 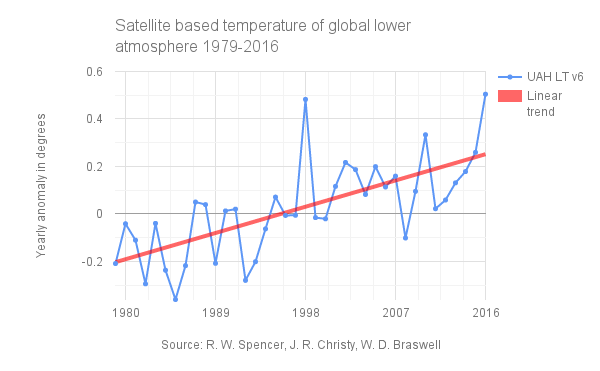 Climate change is normally discussed as 30 year or longer trends. Adds to the noisy and detailed ("sciency") impression and hides the yearly average. Reduces the visual impact of the temperature trend. The average of December 2016 does not say anything about the average of 2016 nor the climate trend. It appears as a decoy to re-frame the discussion away from the trend and over to the peaks in '98 & '16 that are El Niño events. 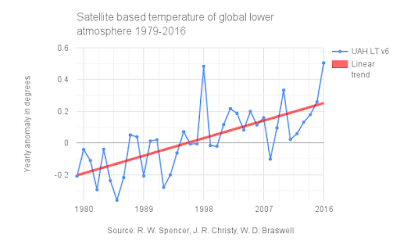 The UAH satellite based global temperature data set is derived from measurements of microwave emissions from oxygen in the atmosphere conducted by many different satellites over the years. 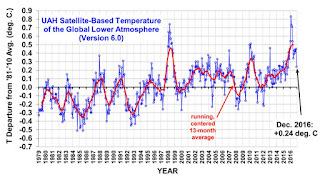 There are several other global temperature datasets, some based on satellite data and several based on ground (land/ocean) measurements.